The OCWD Groundwater Replenishment System (GWRS) began operation in 2008, originally providing 70 million gallons a day (MGD) of purified water to replenish the Orange County Groundwater Basin. In 2015, the initial expansion of GWRS increased production to 100 MGD and the final expansion will provide up to 130 MGD of purified water to replenish the Orange County Groundwater Basin starting in 2023. Water from GWRS is used to recharge the groundwater basin either via injection wells at the Talbert Seawater Intrusion Barrier in the cities of Fountain Valley and Huntington Beach or via surface spreading basins in the city of Anaheim. The Mid-Basin Injection Centennial Park Project (MBI) addresses the local groundwater depression in the central part of the basin by recharging approximately 8-10 MGD of GWRS purified water directly into the Principal Aquifer. Four injection wells were constructed in below ground vaults within parking lots throughout Centennial Park in the city of Santa Ana. Two monitoring wells were constructed down gradient of the Park’s injection wells to monitor the potential impacts to the groundwater basin. The monitoring wells are within the Heritage Museum of Orange County. The construction contract for this project was $24 million. Each of the four injection wells require a pipeline connection to deliver the supply water for injection. The source of water for these wells is the GWRS pipeline located in the western levee of the Santa Ana River. Approximately 5,700 linear feet of supply pipeline was constructed from the existing GWRS pipeline, across the Santa Ana River, and arrived at the injection wells within Centennial Park. Approximately 4,200 linear feet of backflush pipeline was constructed within Centennial Road to convey well backflush discharge to Centennial Park Lake or the Greenville-Banning Channel. The primary discharge point is to the lake in order to reduce the amount of potable water formerly used to replenish the lake. Included in the project are two Shared Facilities that will be occupied by OCWD and the city of Santa Ana. The first Shared Facility is located near the northwest corner of the Park adjacent to the soccer fields. This Facility includes new locker rooms with storage, four public bathrooms and an OCWD utility room along with a transformer. The second Shared Facility is located near the skate park on the east side of the park and replaces an existing restroom. This Facility includes a new city office space, OCWD utility room and four public restrooms. The Mid-Basin Injection Centennial Park Project addresses the local groundwater depression by recharging approximately 8-10 MGD of GWRS purified water directly into the Principal Aquifer. 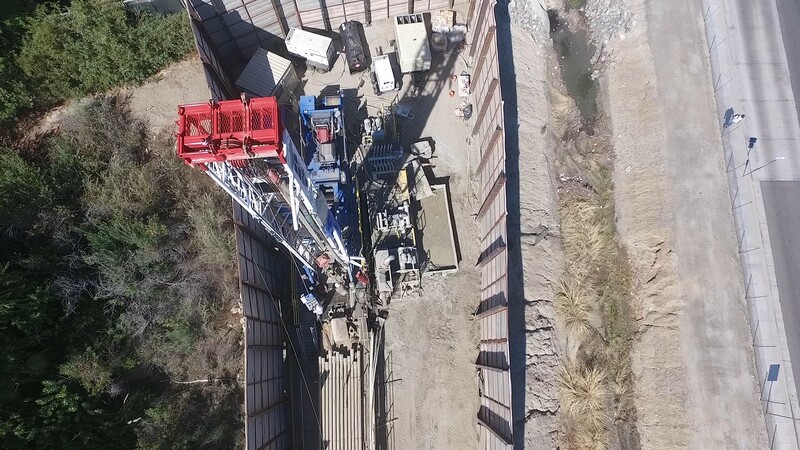 This project supports the GWRS Final Expansion in delivering a total of 130 MGD into the groundwater basin below north and central Orange County. The result will be increased recharge into the Principal Aquifer, reduced flow gradients associated with seawater intrusion, reduced potential for upwelling of deeper amber tinted water into the Principal Aquifer, a reduction in the amount of GWRS water that must be recharged in Anaheim, thereby reducing pumping expenses and increasing capacity to recharge storm flows, and reduce nearby production well pumping expenses. Although no Mid-Basin Injection wells were included in the original GWRS project, they were considered to be an effective recharge method. The four new injection wells were constructed in below ground vaults in Centennial Park near the existing Demonstration Mid-Basin Injection well and inject approximately 8-10 MGD of GWRS water into the Principal Aquifer at depths near 1,100 feet below ground surface. Under normal operations, the scheduled backflush of the injection wells to Centennial Park Lake will greatly minimize the amount of potable water needed to refill the lake. OCWD worked closely with the project stakeholders (city of Santa Ana, Centennial Park users, nearby residents, Santa Ana College, Godinez High School, Mitchell School, and Heritage Museum of Orange County) to minimize impacts to park use, the schools, museum, and athletic fields during construction. Construction phasing and communication was critical in the success of this project. Well construction was limited to no more than two locations at a time and nighttime construction of pipelines was necessary to allow for school and park use during the day. Prior to, and periodically throughout, OCWD presented information to the community and stakeholder groups. These meetings allowed for communication of construction changes, concerns, and opportunities to discuss more efficient and less intrusive approaches to the work. OCWD worked intimately with the Orange County Flood Control District; the U.S. Army Corp of Engineers; Santa Ana Public Works Department, Planning and Building, Parks and Recreation, and Police Department; Orange County Fire Authority; and Santa Ana Unified School District to plan and construct the project. Improvements made to Centennial Park, the skate park, the Edinger Avenue bridge, and Heritage Museum of Orange County generated special relationships with the local community within Santa Ana. Centennial Road and Centennial Park’s parking lots were repaved. 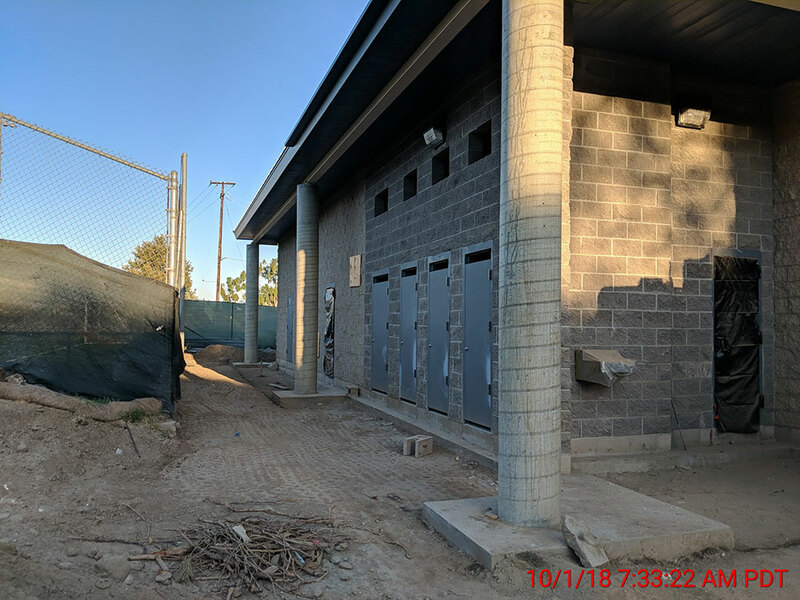 Additional restrooms and locker rooms were constructed adjacent to the soccer fields within the park. The safety and security of the skate park was improved by the addition of an administration office at the second Shared Facility and a camera monitoring system. Decorative panels to hide the pipeline crossing on the side of the Edinger Avenue bridge were included. The Heritage Museum is better able to facilitate the education of children and the community with its improved parking lot, educational signage, an improved irrigation system and the addition of raised garden beds, and new greenhouse facility at the Gospel Swamp Farm. The Mid-Basin Injection Centennial Park Project (MBI) addresses local groundwater depression by recharging 8-10 MGD of GWRS purified water into the Principal Aquifer through the construction of four injection wells. Two wells were constructed down gradient of the injection wells to monitor potential impacts to the basin. MBI, which required extensive coordination with schools, residents and park uses, supports the GWRS Final Expansion to deliver 130 MGD into the Orange County Groundwater Basin. The Mid-Basin Injection Centennial Park Project addresses the local depression in the central part of the Orange County Groundwater Basin by recharging approximately 8-10 MGD of Groundwater Replenishment System (GWRS) purified water directly into the Principal Aquifer through the construction of four injection wells. Two monitoring wells were constructed down gradient of the injection wells to monitor the potential impacts to the groundwater basin. 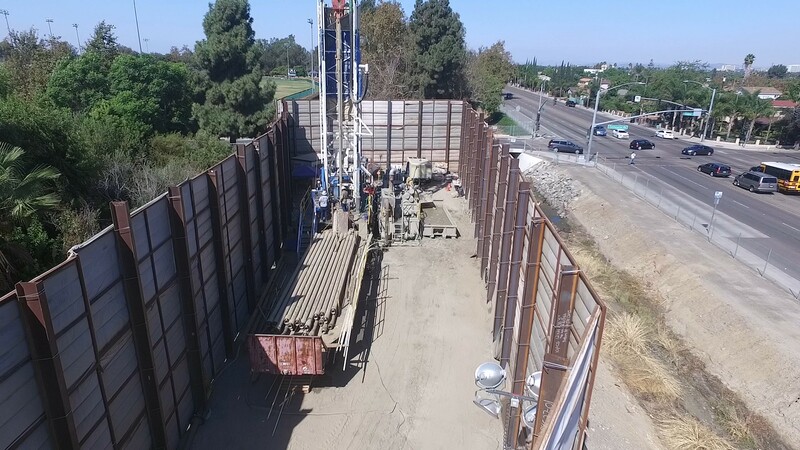 This project supports the GWRS Final Expansion, which will deliver a total of 130 MGD into the groundwater basin below north and central Orange County. This result will be increased recharge into the Principal Aquifer, reduced flow gradients associated with seawater intrusion, reduced potential for upwelling of deeper amber tinted water into the Principal Aquifer, a reduction in the amount of GWRS water that must be recharged in Anaheim, thereby reducing pumping expenses and increasing capacity to recharge storm flows, and reduce nearby production well pumping expenses. Improvements made to Centennial Park, the skate park, and Heritage Museum of Orange County generated special relationships with the local community within Santa Ana. Centennial Road and Centennial Park’s parking lots were repaved. Additional restrooms and locker rooms were constructed adjacent to the soccer fields within the park. The safety and security of the skate park was improved by the addition of an administration office at the second shared facility and a camera monitoring system. The Heritage Museum is better able to facilitate the education of children and the community with its improved parking lot, educational signage, an improved irrigation system and the addition of raised garden beds, and new greenhouse facility at the Gospel Swamp Farm. Dr. Sudarshan KurwadkarClint Isa, PEJason Fix, PEChirath "Chuck" KarunathilakeAmber ShahAshlyn AlexanderJohn C HoganMarionne Philline LapitanDr. C.T. Bathala, PhD, P.E.Kevin Du Mont, P.E.Ziad Mazboudi, P.E., D.WRE, MBADavid Frattone, P.E.Lisa BartlettJennifer BohenGyssela (Jazzy) Quinabo, E.I.T.